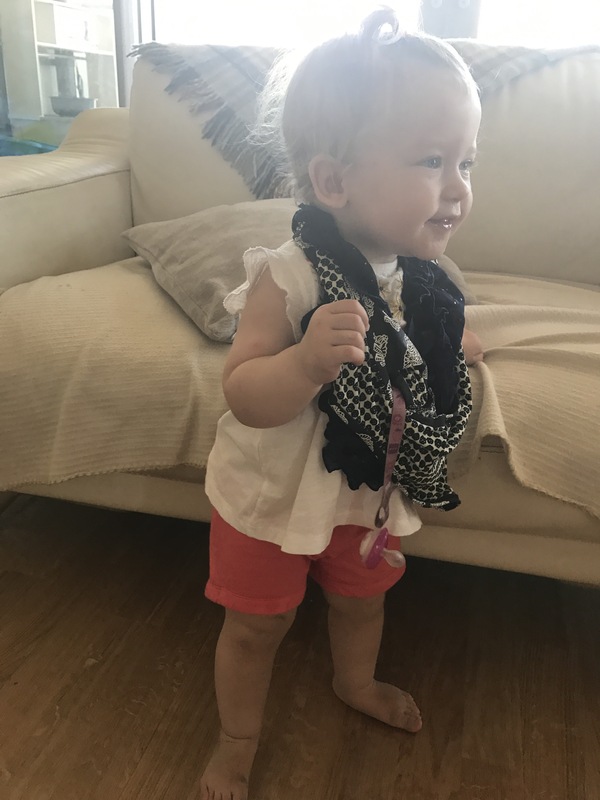 H and Flossiedoodle – Diary of an expat mummy with a love of crochet and a longing for time! I have to say I do miss the winter, like the proper winter where you get to wrap up warm in cosy knitwear and chunky scarves, but I can’t decide if that’s just because I get bored of my summer wardrobe!! 2. Meeting new people and making new friendships– One of the things I really worried about, when I knew we were moving here, is feeling lonely. I’m a rubbish lonely person, I get lonely if I’m on my own for an afternoon, let alone starting afresh in a foreign country. Of course the beauty of moving to somewhere like Gib is that pretty much everyone speaks English! So the transition, for me, was fairly smooth. Once I knew we were definitely moving I did loads of research into toddler groups and things to do with kids. I only had Henry at the time and he was 18 months which really, looking back, was a perfect age for socialising. When we moved over my mum came for the first week and came with me to all the groups for moral support. Luckily I got in there before the summer holidays because it meant I met a few people before all the groups stopped. There’s a huge expat community here so loads of people in the same boat. I’ve made some truly lovely and lifelong (I hope, they may disagree!) friends. 1. Missing family and friends- This is a big big con for me.. I do have a close relationship with my family, especially my sister who has children of a similar age. I so often feel really sad that our children aren’t ‘growing up together’ in a geographical sense though we talk and Skype all the time. 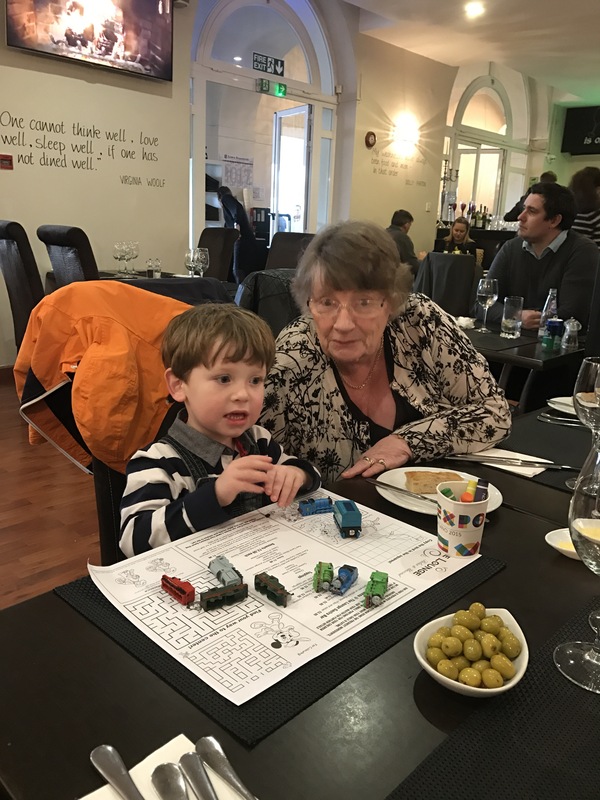 The children also have 3 sets of brilliant grandparents that they truly miss, obviously Henry is more aware of this but I’m sure Flossie does too! 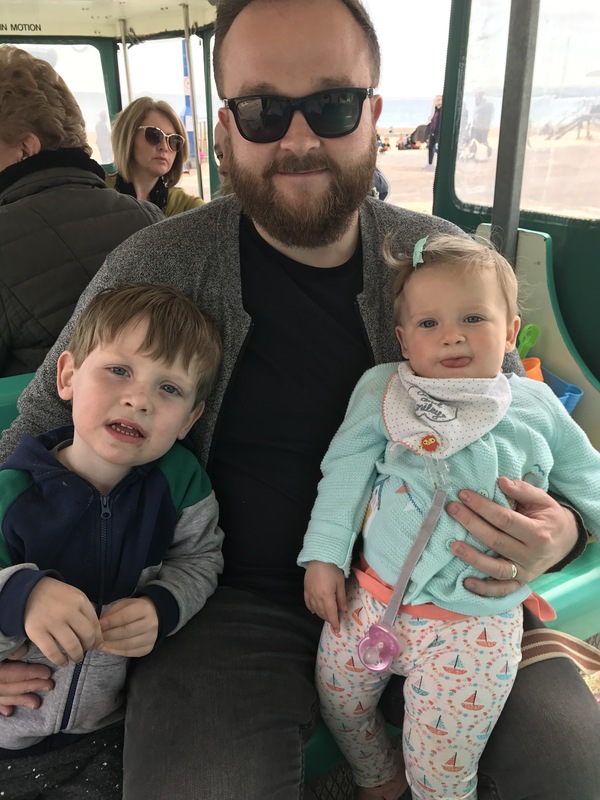 I am lucky that I can go back when I want or need to and both children are *fairly* well behaved on a flight so I can do it by myself with both of them. But it’s more the times when you just want to ‘pop over’ or go for a day out together, that I really miss. I often find myself sat in our flat in the afternoon, because Flossie needs a nap and most things seem to happen in the morning here. It’s when I’m sat in the flat feeling, frankly quite bored and a bit lonely, I think if I was in the uk now I could just pop over to my mums or my sisters or take the kids to see Nana & Pops and I would have some adult company. Also I feel sad that the family is missing out on Flossie’s first year. They see all her ‘firsts’ on video or through photos and sometimes I wish I had the chance to show them off in the flesh. Having her here was much harder than I expected without my family around. It really hit me hard, but that’s another story..
2. Feeling like you don’t really belong– It’s like when you start a new job. At first you feel really out of place there, you don’t know where anything is, you don’t know the ways, you don’t really know the people. Eventually, however, you learn all those things and you feel as though you have as much a right to be there as anyone else. Well, for me, I have learnt where things are, I know lots of lovely people, and in most I’ve learnt how the place functions, but that doesn’t completely take away that feeling that, really it’s not your country. You can make it your home, but you’ll never 100% belong there because you were born somewhere else. If that makes sense? That’s not to say people don’t make you feel welcome and it’s not a reflection of their opinions.. (though sometimes it’s pretty obvious that the feeling is mutual) It’s just a little niggle that stops me from really settling. 3. 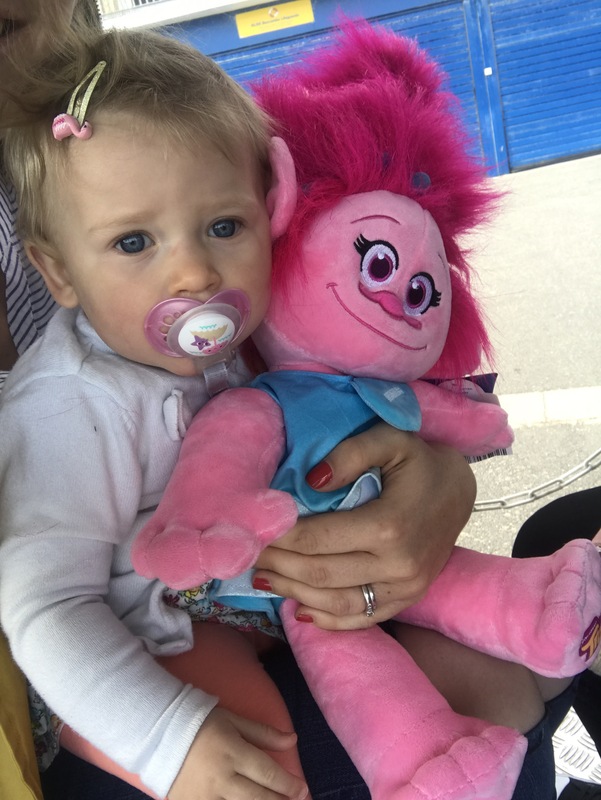 (Unique to gibraltar) I miss the shops, internet shopping and good things to do with the kids– Ok I’m going to admit it, I really miss primark! We do have a primark in nearby Spain but it’s not the same… it doesn’t have the good stuff that they show in the magazines. I also miss buying crafty things from eBay and it turning up 2 days later… our poor visitors always end up with suitcases of stuff that I’ve bought and sent to them to bring out! As well, one of the things I find most frustrating about being here, is the lack of activities for the children. I find it really hard to fill my days with something that isn’t the park and doesn’t involve buying food or drink. I would like to be able to (easily) go to a soft play or a petting zoo or farm. Even just to a country park for a walk or one of these trampoline places I see cropping up everywhere! We do have some really great groups that we go to on a weekly basis but I just find the lack of variety frustrating. Especially when I realise how much we had at our disposal in the uk! I can’t believe you’re one! The lead up to your birthday has been slightly different this time round. As we get closer to the date I keep thinking back to how I felt this time last year and how the next couple of months panned out. 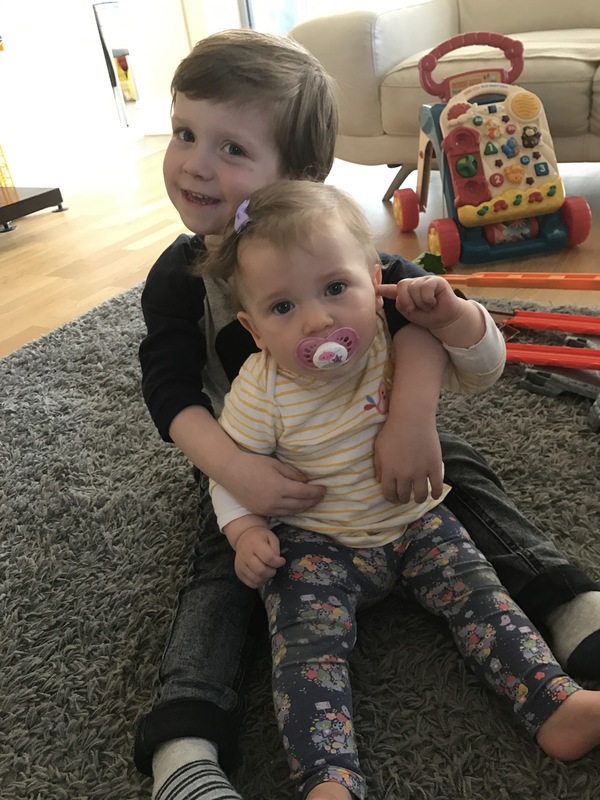 It’s been a really tough year looking after you and your brother and finding a routine that works for us adapting it as you both grow and change. 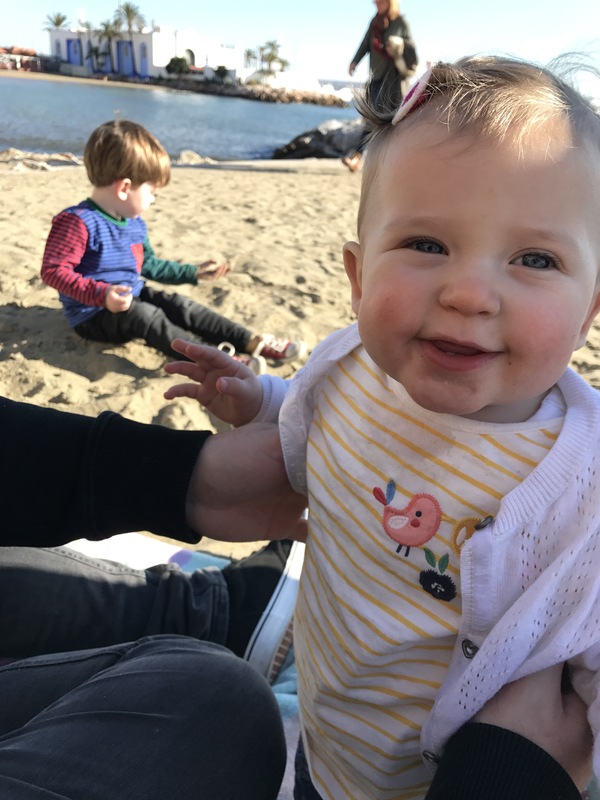 I, for one, have found it harder than I imagined living away from all that I know and learning anew how to care for a baby with a completely different personality to her brother’s, without the support of my loved ones. But having you, my baby girl, has made me stronger than ever. I love you and your brother so much, my heart feels full to bursting. That’s not to say you haven’t tested us with your dislike for sleep and full on hatred for the car! You’ve definitely put my sleep deprivation and multi-tasking capabilities to good use that’s for sure! I remember wishing you older, wishing you to be more independent, wishing you to go to bed at 7 and wake up at 7 and have more than a 45 min nap. But now we’ve reached your 1st birthday I feel sad I wished for that. You’re walking, chattering (mainly pointing and saying ‘whassat?’), playing and you love to chill with mummy on the sofa. You also have a slightly strange, albeit hilarious, obsession with hooking my knickers or anything material-like around your neck or on your head. You know your funny and you actively search out someone to show them what you’ve done. You love putting things into boxes/bags/buckets and taking them all back out again and recently you’ve discovered Henry’s little chair and sit on it like you’re a princess on your throne. Of course I can’t write this without mentioning the clothes…. omg I have LOVED every minute of dressing you, shopping for you, doing your hair with clips and bows, and more recently making you outfits. Your the little dolly I always imagined and not one bit of time has been wasted being your personal stylist. Your curls are growing in abundance and I practically clap with glee when I see them. You’re so gorgeous and you don’t even know it yet! 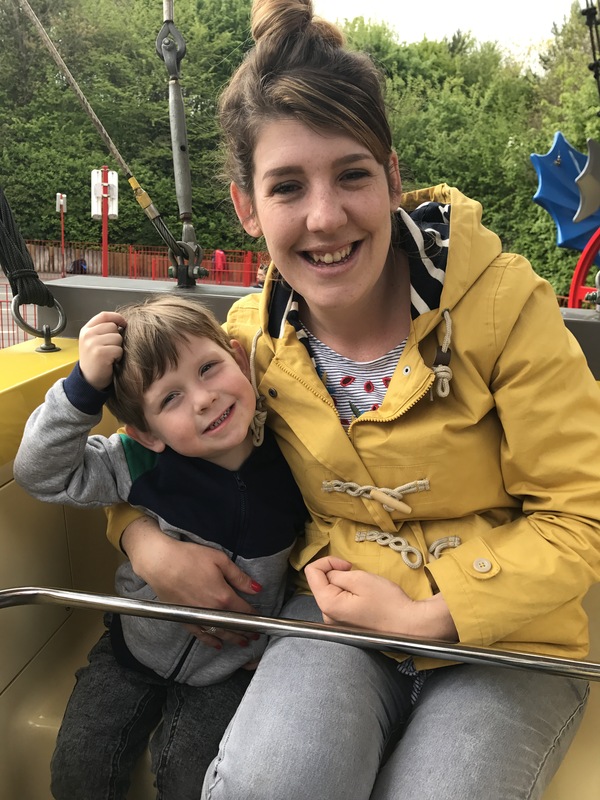 So seeing as this week marks Maternal Mental Health Awareness week I thought it appropriate to share my story, one I have allowed you snippets of but not the whole shebang. When I had Henry I was really concerned, before I had him, that I would get PND. Reason being is that I’ve always been anxious, had various trips to the doctors at times in my life that I didn’t feel so stable mentally and have visited a few counsellors mainly about my vomiting phobia. Also, and I’m sure she won’t mind me saying, my sister did suffer after the birth of her first born and the way I saw it was that she had always been the stronger one when it came to matters of the mind, if she had it surely I would too? There were definitely a good few weeks at the beginning I did struggle, I remember bringing him home and legitimately wondering what on earth I had done. I felt like I just wanted it to go back to being me and Tom again and this was the baby I had been so, so excited about for the past 9 months. When Tom went back to work I felt at my worst and I went to see the doctor. I have to say he was amazing, we saw him later on with Henry and he was fantastic then too, i was lucky in the draw! I always remember him saying to me ‘You’ve just had a baby, your husband has just gone back to work. Think of it like learning to drive and being in the car on your own for the first time, it was scary right? Give it a week or so and if you don’t feel better then come back but give me a ring to let me know how you’re doing’ and I’ll tell you, in a week I DID feel better! I surprised myself! I think this was down to having amazing family and friends around me lifting me up when I needed it most. 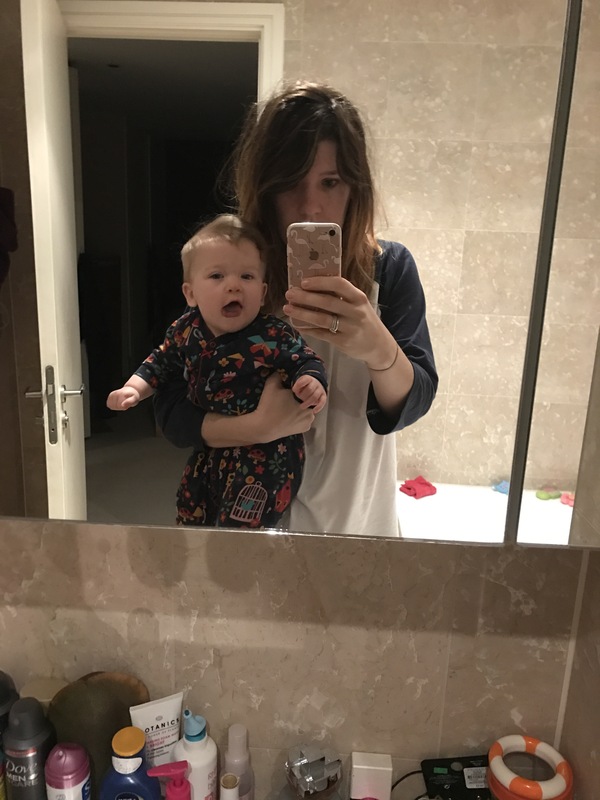 I didn’t breastfeed Henry, well I tried for a few days, I had a very unhelpful midwife who basically said ‘I don’t know why he isn’t feeding’ and left me. The whole breast feeding thing is such a big trigger for me, I think more than I care to admit. I SO wanted to do it but at the crucial time, when feeding needed to be established I was at my lowest point and the two just clashed. 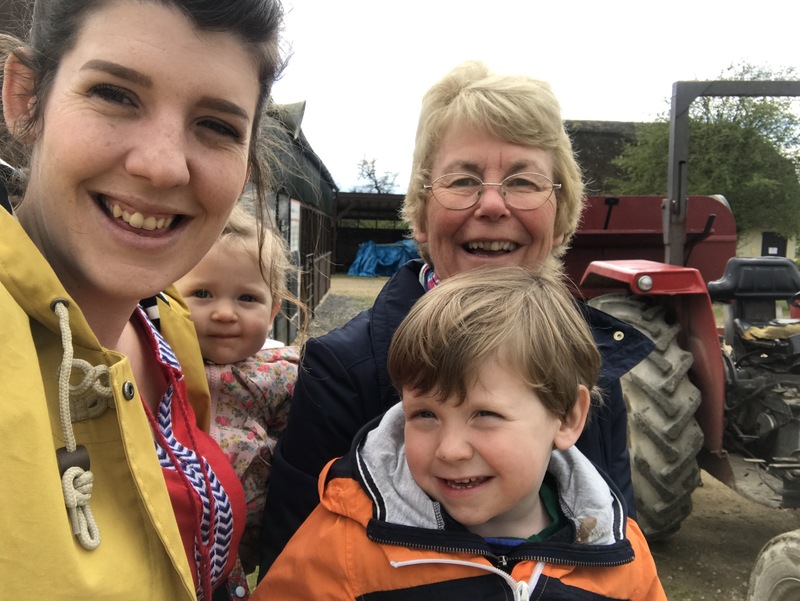 At the time I felt immense relief for my Mum to bring over the formula and Tom to feed him, but later down the line I wished I persevered and felt I owed all my failure to that midwife… hmm I’ll come back to that! 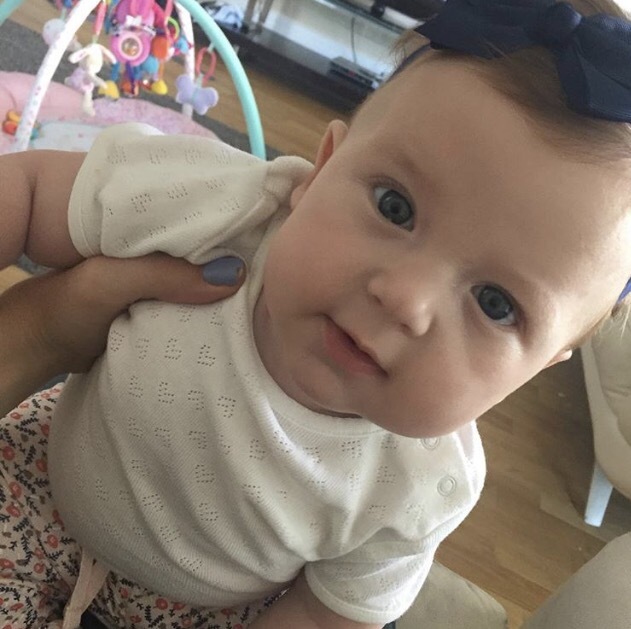 So Flossie… well I always said I wouldn’t have a baby while we lived in Gib, I’d have no family to help me and I didn’t like the idea of having a baby in a different country to my own. Well about 3 months down the line THAT went out the window 😂 I couldn’t wait. The maternity care in gib was amazing, can’t fault it. 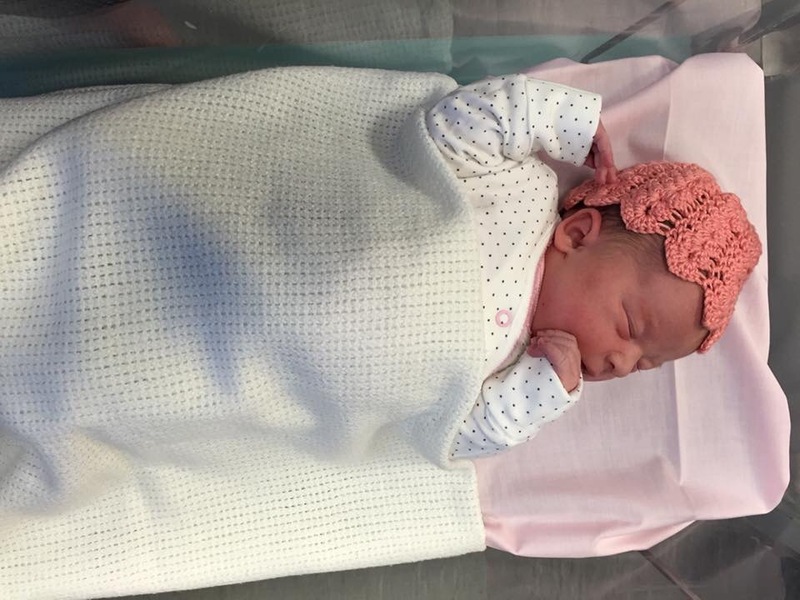 I had a much calmer, more successful and forcep free delivery of my beautiful, desperately longed for, 9lb13 baby girl! On the lead up to the birth I had been to a breastfeeding class, talked to lots of friends, not bought any bottles or sterilising equipment, I was going to do it this time. I so wanted to feed my baby myself. It started so well, she was a great little feeder, gorgeous content baby and Henry seemed so pleased to have his long awaited sister. Perfect right? Hmmm no, get to about day 5/6 and I could feel those same emotions from round one creeping in. The emotions I wished so desperately to avoid this time! I was up and down like a yo yo, couldn’t eat, couldn’t stop crying but I hoped it was just baby blues. 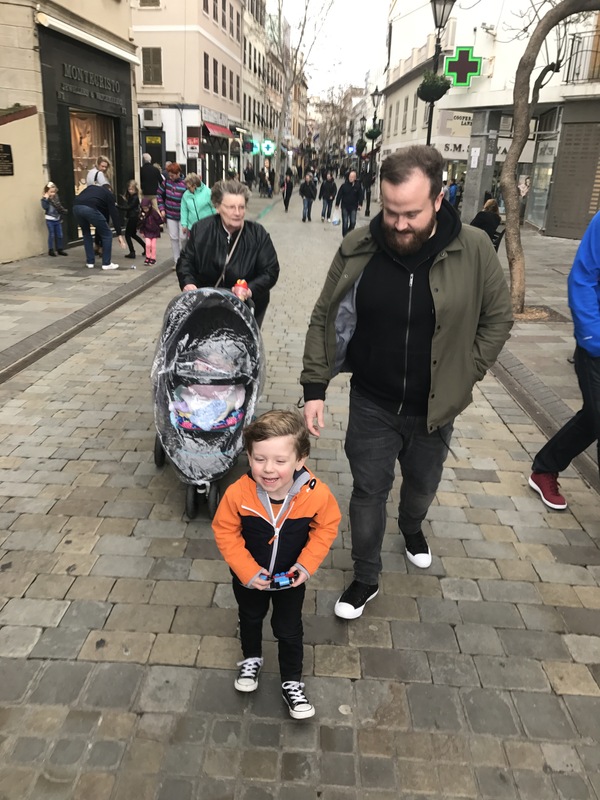 I felt so sorry for Tom as I had expressly told him ‘do not let me give up breast feeding as much as I want to!’ I could see the worry and confusion on his face when I told him I really, really wanted to stop. I felt miserable, trapped, like a feeding machine. I cried every night about how much I loved Henry and how I was worried the effect this was having on him. So we decided to introduce a night time bottle, the tiredness was unbearable. She took to that really well even though I was so torn about whether to do it or not. I remember initially feeling so proud of myself when she reached her birth weight after a week (apparently not very common in bigger, breast fed babies) and when she did her first poo.. proof that something was coming out! But I remember just feeling so trapped by the fact that no one could help me and only I could feed her. Again I think this was the hormones clashing at such a crucial time. I also got mastitis which didn’t help. When the health visitor came to see me she asked if I was feeling this teary all the time. I explained the situation and we spoke about it and agreed that maybe breast feeding wasn’t working for me, mentally. Physically it was all going kind of ok! So I stopped around the 2 week mark, again I felt huge relief, so I thought this is where I begin to feel better but I didn’t. Well actually I did for a little bit, Mum was out for a week and we were getting out and about a lot. However, out of the blue my baby got poorly. One day she just didn’t stop crying from the moment she woke up till the moment she went to sleep. She had fitful naps and vomited once but I just thought maybe she had an intolerance or it was due to switching from breastmilk to formula. It took till about 1/2am for us to realise this was potentially something more. We took her to a&e and it turned out she had a really high temperature, they suspected a virus. She was admitted for 4 days, every parents worst nightmare, cliche but it’s true. She had a lumber puncture, chest x-ray, cannula in both hands, blood tests, you name it. They wanted to rule out anything potentially really nasty and thankfully for us it was probably a virus caught from H, though they never really found a source of the pain. I don’t think I really realised how serious it could have been, I remember worrying about how out of routine she’d be when we got home?!! Though I think this was a symptom of me not feeling myself. Actually, it does me good to remind myself of this situation when I’m getting fed up with her night time antics! So that obviously didn’t help the situation but it wasn’t even really then that the worst of it kicked in. Not long after that she began to get a bit fussy with her feeding. 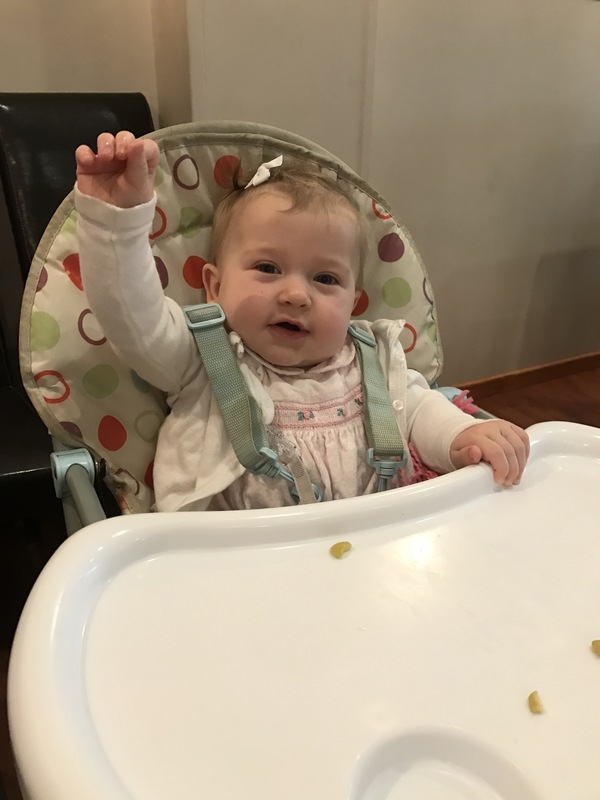 Unlike her brother, who downed a 7oz bottle straight off the bat, she liked her meals little and often and I swear I couldn’t cope with the lack of routine and the worry about how it would effect her sleeping. I honestly obsessed over whether she might have reflux or colic and googled all these nightmare stories of poor babies who did. I’d be googling in the early hours instead of trying to sleep. I’d look at remedies for reflux, trying to convince Tom to try a new bottle, new formula, new teat. When in actual fact I had a very content baby who was just a bit more particular about her milk intake. I remember buying the new teats and actually having to go out whilst Tom tried them because I couldn’t bear the thought that they might fail! I also took her to the osteopath, who was seriously lovely, but didn’t really think there wasn’t anything ‘wrong’ with her. Looking back now I was definitely a woman on the edge, I was determined to pigeon hole her into a category so I could maybe find a solution to a problem that wasn’t really there. It came to a point where I realised I was just miserable, maybe around 4/5 weeks and I decided to go to the doctor. Again I struck really lucky with the doctor, she was amazing and really understanding. I cried to her, explained the whole situation and I think as I’d taken medication in the past she agreed to start me on citalopram, which was the same as I’d had before. She also warned me that for the first couple of weeks I might feel worse before I start to feel better, that couldn’t have been more of an underestimation. Typically that same day a friends little boy had caught a horrible tummy bug. Initially I thought nothing of this apart from obviously feeling sorry for him, but I took my first tablet, took Floss to her osteopath appointment and when I came back H had a temperature and didn’t seem right. Cue a massive panic attack from me, I think I actually went and hid under my duvet and I’m not exaggerating. If you’ve read my previous posts you’ll know I’ve had a turbulent relationship with a vomiting phobia but by this point it had almost diminished. However for the next two weeks it had well and truly awakened, I felt the worst I had ever felt in my life and I can say that confidently. I kept H off nursery incase he caught anything, I laid in bed all day with both children because I couldn’t face getting up, I didn’t eat, I just wanted to leave it all and run away. I even hoped they would think me so unwell they’d take me into hospital, just so I was away from the constant worry of vomit. I described it to everyone as having been asleep and waking up to a crippling vomit phobia and 2 children to care for. I’m not even ashamed to admit I googled once or twice ‘feelings of suicide’. That may sound as if I’m being over dramatic I guess and I would never have acted on it, but in those moments I could understand why someone would feel like there was no escape, no other answer. I was looking ahead to the years stretching in front of me, feeling as wretched as I did in that moment, and I thought ‘what sort of life is that?’ I just felt so desperate, though through all of this I was hanging onto the hope it was the medication. I was very lucky to have a friend close by who is a GP and speaking to her was a god send. She was so reassuring and kept telling me I would feel better and that it was most likely the medication settling in. She also told me the science behind the meds which was quite a comfort. If you don’t know how it works, from my understanding, you have this chemical in your body called serotonin and when you’re feeling down or depressed sometimes it can be because the levels of this chemical are low.. not sure if that’s the cause of the effect? What the medication does is brings that chemical back up to a normal level, so if you’re already feeling happy it won’t make you feel any different but if you’re feeling low it’ll make you feel happier. That’s what it did for me, after about two weeks I found there were patches in the day where I felt my old self, I wasn’t so consumed by the worry that Henry might get a stomach bug and be sick. Gradually those patches in the day got longer and longer until I felt my old self completely. I mean, it didn’t completely eradicate all of my worries, but it brought me to a place where I could rationalise them and put them to the back of my mind whilst I enjoyed life and enjoyed my new baby! Forward on, coming up a year, since she was born and I still have rubbishy days but for the most part I feel good! I’m still taking the medication and I think I will for the foreseeable. 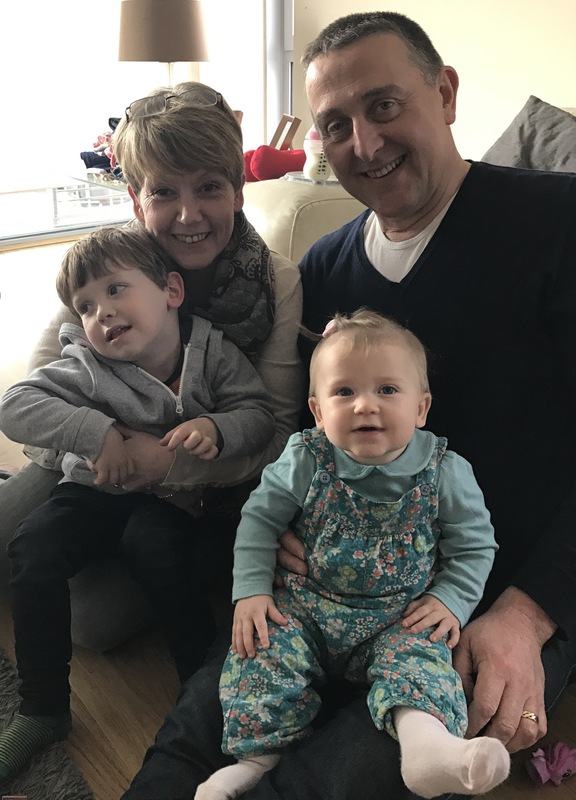 The doctor assured me that there’s no reason to stop unless I really wanted to and now, whilst the children are young and I’m living away from my family, I feel it’s wise to stick with it. I have absolutely no shame in admitting how awful I felt because I see it like any other illness. You can’t help if you get ill, just like I couldn’t help having post natal depression. So if you’re reading my story and relate please talk to someone, that’s the best thing I ever did. Don’t suffer in silence, it’s nothing to be ashamed of and actually since my experience with PND I have met so many other mummies who have felt exactly the same way. Remember your mental health is just as important as your physical health! Since moving to Gibraltar all of our ‘holidays’ mostly involve going back to the uk. Sort of the reverse of what holidays used to mean and it certainly isn’t terribly relaxing but nevertheless I love going home and seeing all my loved ones. I usually try to go back for a few weeks at a time so we have enough time to see everyone we want to see and do everything we want to do. Obviously my husband isn’t really able to take 3 weeks off work every few months so mostly I go with the kids first and then he joins us. We’re really lucky that we have lots of places to stay when in the uk and mum very kindly insures me on her car which makes it much easier to get about. Whenever we go back I usually have a long list of things I want to do or need to get and a huge pile of parcels I’ve pre-ordered because I severely underrated the ease of the Uk postal service before moving to Gib. This time I ordered Floss a load of pre-worn Next clothes in size 9-12 months as her wardrobe was getting a bit thin on the ground. Ahh the luxury of having choice! This is going to sound really sad but I also LOVE going to Sainsbury’s when we’re home 😂 seriously Saino’s is the best supermarket ever and their clothing section is unrivalled, especially for kids. I’ve lost count of the amount of times people have complimented something the kids are wearing and I’ve told them it’s from Sainsbury’s. They also do 25% off events and seeing as I usually come back over holiday times they quite handily coincide with our trips! The kids had a fair bit of Easter money so I stocked up! I definitely find the girls section better than the boys but isn’t that the case everywhere?? My mum assures me there’s much more choice for boys now than there was when we were little.. that’s got to explain why my brother wore a football kit for most of his youth right? I sort of feel like going home is like going somewhere like America when you see all this amazing stuff you’d love to do or buy but you can’t do it unless you live in the US. That’s what it’s like returning to the uk from Gib, only Universal Studios and Disney World are the equivalent to Honeybrook Farm or Legoland. We managed to fit in a trip to both of these whilst back. H really seems to enjoy a trip to the farm and loves having a hold of some of the smaller animals especially guinea pigs (mummy loves them too) Mummy definitely did not bring back appropriate attire for a rainy day at the farm and nanny wasn’t overly impressed with the mud in the back of her brand new car.. but we did have fun and we were able to meet up with a very dear friend of ours who has moved back to the uk from Gibraltar. Look at those eye bags! We also made the most of the beautiful beaches Bournemouth and Poole have to offer. H seriously loves the beach, he’d just dig in the sand all day if he could. I think if he were an only child I’d definitely be at the stage where I could take my book or crochet and have an hour or so’s peace. However seeing as I have a sand eating, fast crawling monster to contend with this wasn’t the case this time. Actually Henry got a little bit burnt on the beach, I literally felt so awful. It was quite a windy chilly day and I just got caught out. I should have known better and certainly won’t be doing that again, he was fine but my conscience wasn’t. I of course made a couple of trips to my fave, primani, and Henry filled up his ‘Pom Pom’ jar (marble jar but minus the choking hazard) which meant he was allowed a Build a Bear. He’s never had one before and we may just stick to the one… not only is it really expensive but he was petrified of the machine that stuffs the bear! I’ve mentioned before that he’s really sensitive to loud noises like the Hoover and especially a hand dryer, well this makes that exact noise. It’s like the reverse of a hoover filling the toy up with stuffing. Omg was awful, the whole point of going in there is to customise their chosen toy (H got Marshall from Paw Patrol and Floss got a Poppy Troll) but he was so upset by the noise he had to leave the shop. This noise issue is becoming an increasing recurrence at the moment. He does love his Marshall though so all is not completely lost. As well as all this wonderful stuff we went to Track Party (train lovers look it up) saw lots of lovely people, and ate copious amounts of chocolate and takeaway. Now can you see why I was exhausted?! I felt like I just couldn’t catch up, soooooo tired, it was worth it though of course! Flying with kids is certainly nothing to take lightly, even when there’s two of you to contain them. Take away one adult and you REALLY have to consider this some dangerous sh*t. I remember being so in awe of a friend who often flew alone with her two. I thought she was amazing and also totally crazy… I thought, there’s no way you’ll catch me doing that! No siree! No, no, no thank you! So yesterday I flew for the second time with both babies… what can I say? I like a challenge and also to prove myself a strong independent woman! As much as the thought of this scenario used to fill me with dread to the bottom of my very core, i realised that actually I do so many things on my own with two kids, what’s a 2 and a half hour flight book ended by airport negotiations? 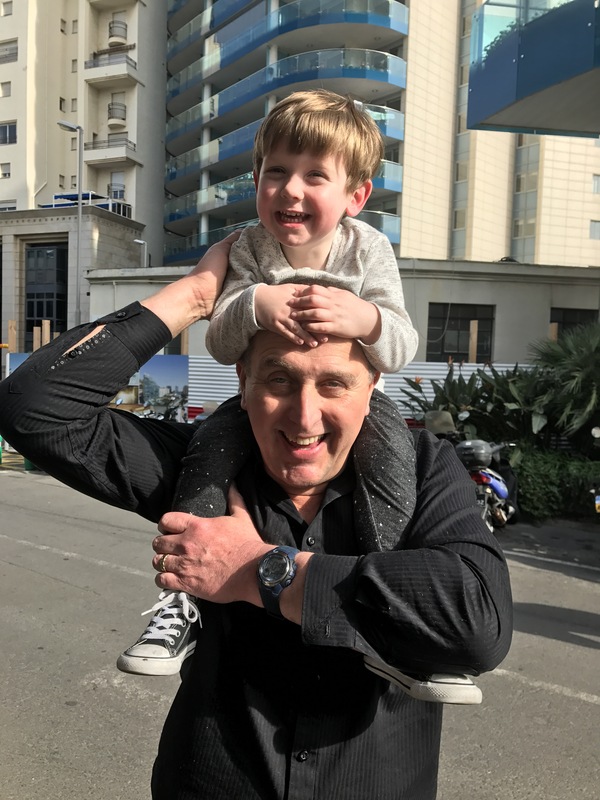 Living abroad like we do I’m used to having to deal with situations whereby usually, if you had a willing grandparent on hand, you would most definitely palm off one or both of your kids for an easier life. For example, doctors appointments or generally annoying paperwork/important errands are often punctuated with a child either side for me! So I put on my big girl pants and went for it, twice! And the brilliance of it is that I have the freedom to fly home when I want or need to! 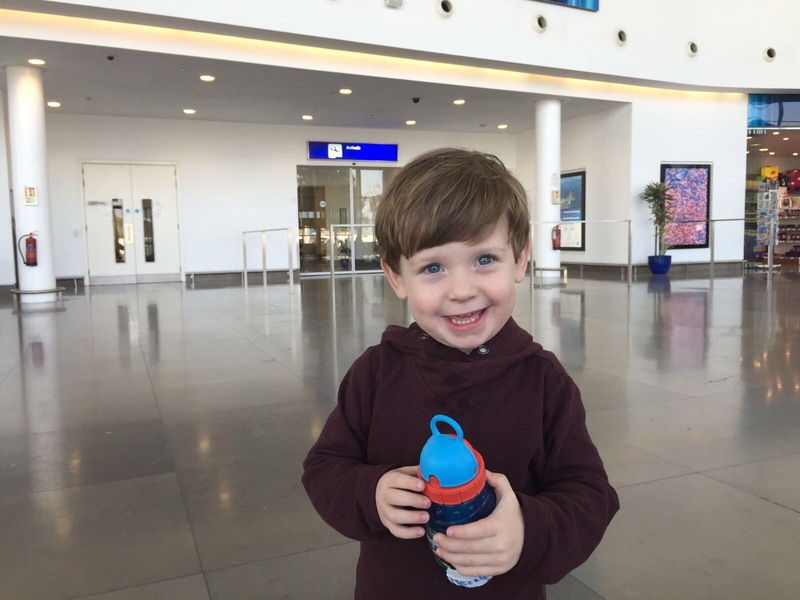 Though I’ve only flown twice with two I also made a couple of journeys with Henry before Floss came along and I’ve decided to share with you the things that made my life so much easier as a parent flying solo. 1. Plan your journey wisely- Consider different airports and flight times carefully. I had the option to fly either from Gibraltar or Malaga. Both have their plus and minus points so I had to weigh up which would benefit us (mainly me!) the most. Gibraltar is great because it’s a tiny airport, it has only two boarding gates and a single departure lounge as well as a soft play zone for kids. This makes getting from bag drop on to the plane sooo much easier, no ridiculously long walks to the gate, or shoving your way through hoards of people and in general the queue through security is non existent. The flight times from Gib are also very child friendly so we didn’t have to get up at some ungodly hour and I didn’t have to drag two tired, sleep deprived children through the travelling process! Downside to Gib is our nearest arrival airport is Gatwick. Which is about a 2 hour car journey the other end. Malaga, however flies into Bournemouth which is a 15 min car Journey the other end. But the flight times are quite literally the worst! 7am? With two children and a reasonable car journey to the airport… makes me queasy just thinking about it. That ruled it out for me. Luckily I have very lovely parents and in laws that make the journey to Gatwick to pick us up and bring us home! 2. Pack lightly- by lightly I mean one suitcase, I don’t necessarily mean one, LIGHT suitcase. This time we were actually 3kgs over our limit 😳 tell you what it’s bloody hard to pack 3 people’s stuff into one suitcase for a 3 week stay! I’m surprised it wasn’t 10kgs over! Actually we’ve been over a few times now but never been charged.. don’t know if they can sense my ‘mum on the edge’ aroma and feel the awkward snotty, crying situation isn’t worth it. There’s been an exchange of ‘I know you know I know’ looks but never any exchanges of cash! Phew! Having one case is probably sensible though, doesn’t matter so much at departures but trying to negotiate loads of luggage and two small children the other end is not fun. If you’re really clever you’ll find away around the car seat situation too, maybe by borrowing or having spares if you’re an expat like me, but I did have to bring Flossie’s back with me. Lucky it’s light and small! Floss is a harder age to entertain, she had a sleep and had her lunch then mainly just pulled all the stuff out the seat pocket, pulled the lady’s hair in front and played peekaboo with strangers! Again, whatever kept her happy, asides from the hair pulling I did draw a line there..
4. Accept help and ask for it- actually people can be really lovely when they see you’re travelling alone with the kids. Both times I’ve had really nice people sat next to me. You can bet your bottom dollar they thought their luck was most certainly out when they sat down 😂. Things like offering to hold the baby while you get your stuff out of the over head locker or put the baby carrier on, Just say yes every time. There is absolutely no point in being a hero! Also things like needing a wee are seriously tricky.. I always used to manage a short haul flight without getting up but 2 nearly 10lb babies later and it’s a totally different story. Also you know my son hates hand dryers, can you imagine him facing that aeroplane flush?!! Even I find that scary! Luckily he’s happy to sit in his seat and, so far, hasn’t needed the loo on a flight. Can’t really leave floss in her seat though can I? So I just palm her off on the most child friendly looking air hostess. First time she was totally fine, this time not so much. Cue me doing an extra fast wee and frankly awful, slap dash hand washing! But if you’ve gotta go you’ve gotta go! It’s only a few moments of the journey and the air hostesses have always been more than happy to oblige. 5. Lastly invest in a good baby carrier- seriously they are worth their weight in gold! I have a Connecta which I was lucky enough to be given. It’s honestly been such a saviour and actually Flossie really loves it in there. I use it all the time but it really proves it’s value when it comes to negotiating airports with a baby and a 3 year old. There are so many different types and varying costs and you will often find selling Facebook pages where you can save a bit of money on a second hand carrier. Trust me every penny is worth it! Hope these little insights help if you have an impending journey and good luck! Oh I do love my little man, sometimes when I read him a story in bed I just want to snuggle down there and then and cuddle him all night. That is, until, he says ‘Mummy… why does the sun come out in the morning and the moon come out at night? and why can’t the moon and the sun be out at the same time? and why do we have to go to bed when it’s dark? and what are we going to do when the sun comes up? Why? Why? Why? WHY?’ By this point I have swiftly jumped up turned off the light and bid him a fond farewell until the morning. Sounds harsh doesn’t it? But this kid can ask questions until the sun does come out by which time he could probably answer every musing for himself! When I’m having a good day, got a decent amount of Z’s in the bank and the other child is being agreeable (which she is fairly often to be fair!) I have quite a lot of patience and interest in these questions. On the days where you’ve been on a dummy hunt several times in the night and then been rudely awoken at 5.30am, I find the questions (maybe from the third onwards) severely irritating! I do really love his thirst for information, the way he absorbs and processes the world around him, but it can be downright exhausting especially when you just don’t have an answer. One of my favourites, ‘Mummy do fish have toes?’ Came completely out of the blue the other day. I do like these amusing ones I have to say. My answer was somewhere along the lines of ‘No because they don’t have feet’ luckily he didn’t go any further with that one. Another cracker recently was ‘Mummy, why does an ant have a tail like a cocoon?’ I mean!!! Was quite proud of this one I have to say. We’d been looking at a set of board books of Flossie’s with pictures of animals in and he’d started to show a real interest in all the different animals and putting them into their categories. Oh yeh if anyone has a good way to explain to a 3 year old the difference between living in the wild and living in captivity please comment below. I just haven’t hit the nail on the head yet when it comes to describing what wild means.. This is what I mean, imagine trying to explain this when all you really want to do is dive head first into a Malibu and coke (just me?) and get into bed with all your clothes on. Back to the questions.. He also asked me the other day why his Grampy doesn’t have any hair.. ha! I just had to laugh at this one and he was fairly satisfied that he’d come out with something funny. What I didn’t explain to him was that male pattern baldness comes from your mothers father. I’ll leave him to work that out. These all sound fairly innocent so far right? Those are the good ones. The ones that really grate on me though, often happen whilst watching a film or reading a book or generally any time together where you want to sit and be reasonably quiet. Watching films together is a recent phenomenon. Oh how I looked forward to the days when he would sit and concentrate for long enough that we could just cuddle together and enjoy some of Disney’s finest. 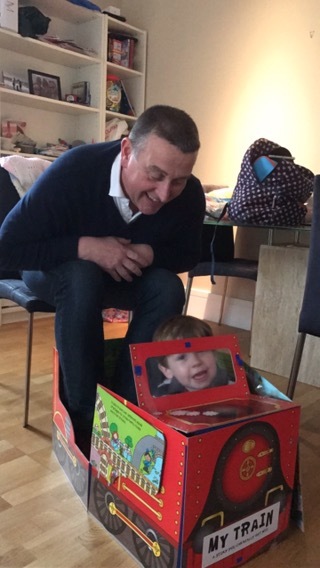 As with a fair few things I’d looked forward to once I became a parent, things didn’t go exactly as I imagined. Rather we end up with questions like ‘Mummy what is he/she/it doing?’ When they’re CLEARLY doing something that is incredibly CLEAR to see like ‘walking’ or ‘eating’. I think this emoji best sums up my feeling when it comes to these sort of questions 😒. To top it off he’ll then ask ‘why?’ I mean.. come on!? After attempting to answer why someone is walking or stretching, a few times I usually now just say ‘just watch it and you’ll find out!!! !’ When I write ‘say’ what I really mean is shout in exasperation! And you see where I’m going with this I’m sure. I think it is also equally obvious why these questions are annoying. ‘Well some people have black skin and some people have white skin, we all have different colour skin’ to which he said ‘so people with black skin have brown faces and people with white skin have yellow faces’. I do really love the way his mind works sometimes but I also decided to check my foundation colour match when I got home..
Also, since Floss came along we have had a fair few questions about what makes girls, girls and what makes boys, boys. This led to him asking rather loudly in the lingerie department of Debenhams ‘Mummy why don’t girls have willies?’ And also then ask what the random boulder holder contraption I was holding is called. Unfortunately there weren’t many people around to join us in self conscious laughter but it’s one to embarrass him with when he’s older I think! While we’re on the subject of human anatomy he’s been quite curious about why I had to go into hospital to have Floss, which led to him asking that dreading question ‘Mummy how do babies come out?’. Argh, I wasn’t expecting to have to answer this sort of thing just yet! I decided to be (semi) honest and say that they come out of your bottom. Mainly because we don’t really have a word for lady parts and I REALLY didn’t want to have to go into that sort of detail. Well, he was just incredulous and, ladies and gentlemen I bring you this piece of comedy gold from Henry Gibson aged 3, he practically spat out ‘out of your BOTTOM! But mummy they’re not a POO!’ Wah! This definitely brightened up our evening..! And you know when a 3 year old knows they’ve made you laugh they decide to ride that wave for all it’s worth. So by the time he’d shouted ‘poo!’ for the 15th time he couldn’t quite understand why we no longer found it funny. Takes a while for that life lesson to sink in I think. I’ve been thinking about writing this blog for a couple of weeks now. I think it came to me on a particularly bad day of High Maintenance First Child Syndrome. HMFCS is the term to account for all the high maintenance behaviour your first born child displays. I must point out here that it is of course completely made up, also I cannot claim the rights to the founding of this phrase. It was a very lovely friend who told me about it whilst trying to console me after a desperate text relating the horrors of my day. She too had a child with HMFCS and therefore coined the, frankly genius, phrase. 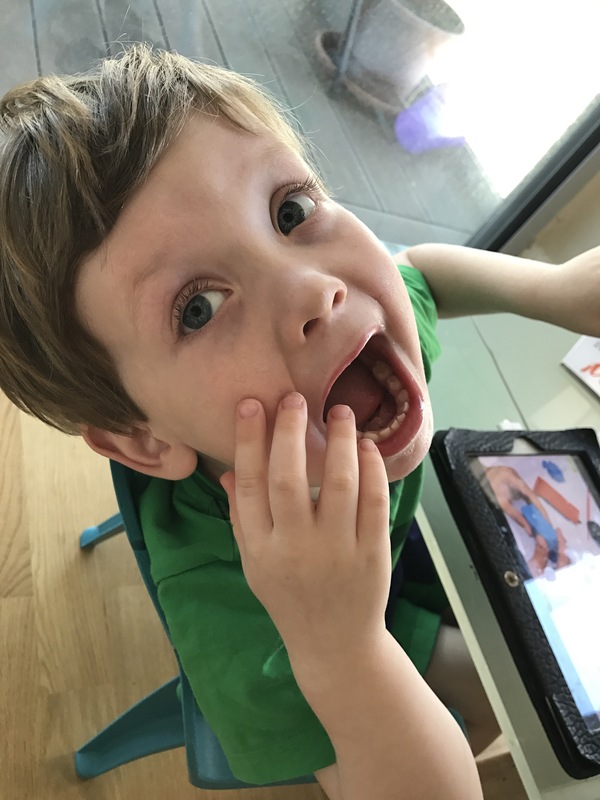 Basically if it makes you feel better to give a reason for your child’s ghastly behaviour, let’s face it you can’t blame it on teeth forever, then read on! 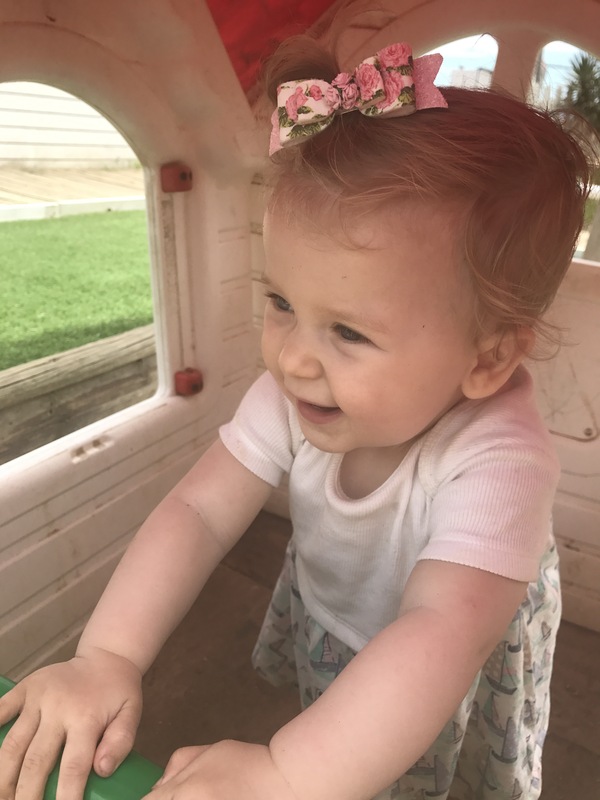 Since the terrible day that led me to think about writing this post, typically my high maintenance first child has been almost angelic. This led to some internal debate about whether I should still write it, however there have been a few glimmers of that well known behaviour that has reminded me why I thought about it in the first place. I must start off by saying that 80% of the time he is actually brilliant, he’s clever, imaginative, caring, funny, kind and he’s my best friend. But you know sometimes, despite all your best efforts, you fall out with your best friend and this happens fairly frequently in our house. When I have those days, on which he completely infuriates me, it makes me feel so much better to blame it on high maintenance first child syndrome. HMFCS has many different manifestations, maybe your child won’t eat anything that isn’t cut into a heart shape, or maybe they won’t wear any clothes that have buttons. When you have those days where you think ‘Arghhhh’ just blame it on this! Here are a few of the ways that my boy displays this behaviour..
1. Probably the most obvious at the moment. You know when your baby is little and you have to painstakingly follow them around the park, their sweaty little fists clamped firmly around your fore fingers and you think ‘One day I’ll be able to sit on the bench and relax for a bit while they play’.. yeh that never happened for me. 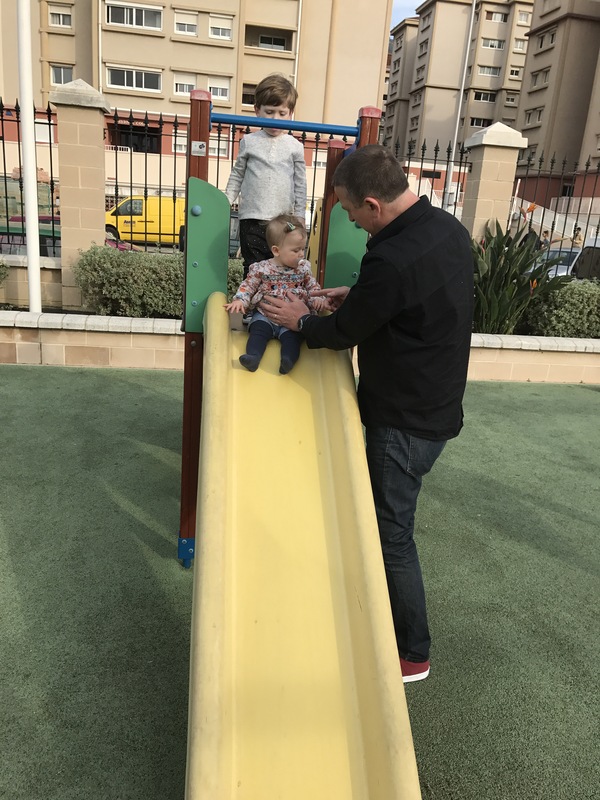 Henry has decided that I have to be involved in every trip down the slide, every adventure on the climbing frame and I am most certainly not to speak to any other adult. If I try to sit and have a conversation with a friend he’ll do everything in his willpower to ruin that moment. He’ll suddenly want to venture to the furthest corner of the park, or eat every snack in the bag and then demand more, or drag me to a specific position about 15 cm from the slide to watch him climb up and slide down umpteen times.. Then if I say I want to have a sit down or a quick chat to my friends he will cry, scream, moan, dribble and snot until, on many occasions, I’ve had to leave. This doesn’t just happen at the park but at parties, toddler groups etc etc. You might think I sound really inattentive but I assure you it’s excessive and downright frustrating! You see all the other children playing happily without the constant need for their parents attention and it makes you wonder if it’s something you’ve done wrong. Have I not been giving him enough attention, have I been giving him too much attention? Of course you start to blame yourself.. but don’t! It’s most definitely a result of High maintenance first child syndrome. 2. The second way Henry’s tendency to be high maintenance is displayed is his absolute loathing for any form of hair washing, hair cutting, hair brushing. I have literally tried everything!! The promise of sweets, presents, a trip out, just to trim an inch or two off his hair. All sounds quite plausible and acceptable to him until the scissors come out. In the end I just have to hold him whilst he cries, screams, writhes and snots everywhere while a very lovely and patient hairdresser struggles through, possibly, her most challenging hair cut ever! If extreme haircutting was a sport this would be what it looked like! Also we can’t brush his hair so I normally have to accept his hair will look pretty dodgy if he’s woken up a disheveled mess. Washing has slightly improved but we have to use a flannel to dampen his hair and I have to have my other hand on his head at the same time…? Seeing as he has quite thick hair the flannel doesn’t quite do the job, however it’s better than a screaming, slithery child dragging you head first into the bath every time you get the jug out! He also will not shower… HMFCS! 3. Lastly, (could list a few more but I feel mean dragging all his flaws into the public domain because none of us are perfect are we) he HATES hand dryers/anything that produces a loud noise. Now I know what you’re thinking, number two and three sound suspiciously like I have a ‘highly sensitive child’, and I’m pretty sure I do, so in a way it’s not really his fault but still it’s quite irritating! It makes going to the toilet when out and about an absolute nightmare. If I’m on my own with the two of them and I’m desperate for a wee it’s a hurried, stressful, noisy event, even worse if HE needs a wee. Try wrestling a scared, screaming, dribbly, snotty (see a theme here?) child onto a toilet when he really doesn’t want to. It’s hard. Add a second child into the mix, one who is going through that separation anxiety stage, it’s even harder. Then there’s the people in the loo who, unless they were on another planet, MUST have heard the commotion in the next door cubicle but still go out wash their hands and use the hand drier??? Seriously.. not helpful. Anyway, add these behaviours to the fact that he hates having his feet measured, asks me 75 questions a day, will NOT share a damned Thomas train and will only eat cheese sandwiches for dinner, I think I have every reason to believe he has high maintenance first child syndrome (or he’s just an ordinary 3 year old but it’s more fun to look at this way). Despite all this of course I love him and his sister with every fibre of my withered, anxiety ridden being and wouldn’t have them any other way…… ha! Emetephobia-please don’t mention the V word! Emetephobia, for those who don’t know, is a fear of vomit, vomiting or witnessing others vomit. It could be the sound, the motion, the waiting for it to happen, or all of these things that trigger a reaction. It is actually one of the most common phobias and can be really debilitating. I know this because I have it, to a degree. Like with every phobia there are varying ways in which it affects people and their every day life, some people can’t even stand hearing the word but, although that isn’t true in my case, I’m going to tell you how it has affected me. I first remember having this fear at around age 4 or 5 and it has plagued me in many different ways ever since. I can pretty much remember every time I have ever been sick or witnessed someone else be sick which is a super lovely way to take up brain space! As a young child I would worry about going on school trips incase someone was travel sick, journeys in general with anyone other than my immediate family would worry me. The thought of being trapped in a car with someone throwing up was just hellish, the thought of no escape, no way of being able to satisfy that ‘flight’ response you’re prone to in moments of fear… terrifying! Unfortunately this put a dampener on many exciting events like, for example, going on holiday. Planes are a particular fear as you have absolutely no control over who you’re sat near. I remember one particular plane journey I sat forward from my seat the whole time worried the person behind me might be sick. Not only was this not very comfortable, I also probably looked a bit strange to those sat around me! I also remember another plane journey with my husband, boyfriend at the time, where I faced the window the whole time as the person sat on the aisle seat next to us looked a bit peaky. Things that other people just wouldn’t notice, like him taking out the sick bag and placing it at the front of the pocket, would be picked up on my radar immediately. If someone was ever sick, either in the car or in a different situation I would basically have a panic attack. Shaking, crying, my heart would race and it would basically render me pretty useless. It took a little while for people to realise that I wasn’t just being a bit pathetic and that it was a genuine fear. I mean, nobody really likes sick, it’s disgusting. Even the bravest most carefree person would turn away, pinch their nose or even throw up themselves. So this makes it hard to distinguish a mild aversion to a life gripping fear that takes up all your thoughts. Growing up it has affected me in different ways. I was never one of those teenagers that went to the park and drank vodka from the bottle, or went to house parties and passed out in the garden. Not because I was being particularly sensible, or boring as it probably seemed to my peers, but because I was petrified someone might throw up! I myself, have actually only ever been sick through alcohol once, though I’m pretty sure my drink was spiked that night so I’m not claiming responsibility for it. Luckily I didn’t come to any harm. Also as I got older I really worried how it would effect my relationship with my own children, could I even cope with having my own children? At the same time I became a primary school teacher and worried daily about children vomiting in my class. This was a job I’d previously pretty much ruled out, because of my emetephobia, but for some reason I decided to put myself in the line of fire. Maybe it was a subconscious decision? As it happens I was lucky not to experience a child vomiting in my class, but I had contingency plans in case it did. Basically I just told everybody, most importantly my TA’s, about my fear and made them agree to deal with it if the situation did ever occur! Bet they loved me! 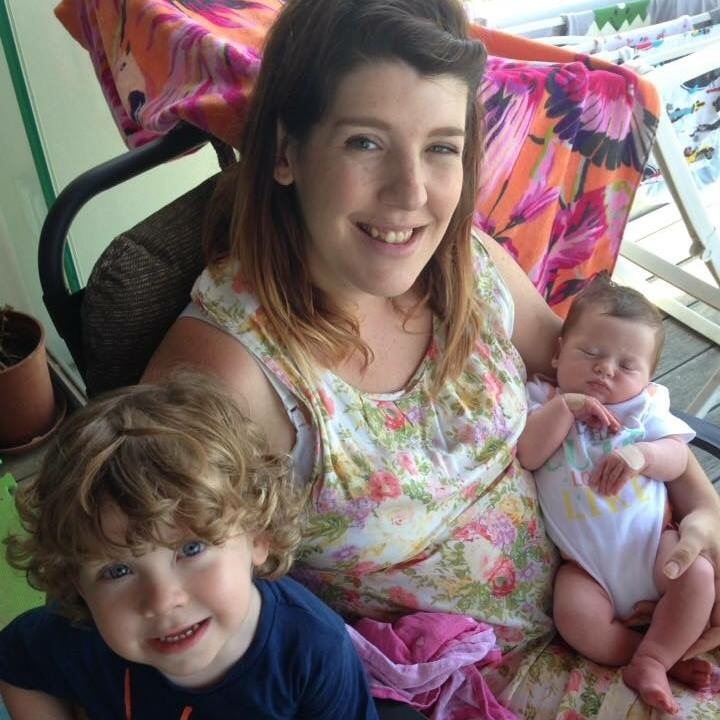 As for having children, I’ve been lucky that my two haven’t been sickly in the vomit sense. Don’t get me wrong they can both produce a pretty impressive amount of snot, and we’ve faced various virus’ and infections but those things don’t bother me apart from worrying in the normal motherly way. 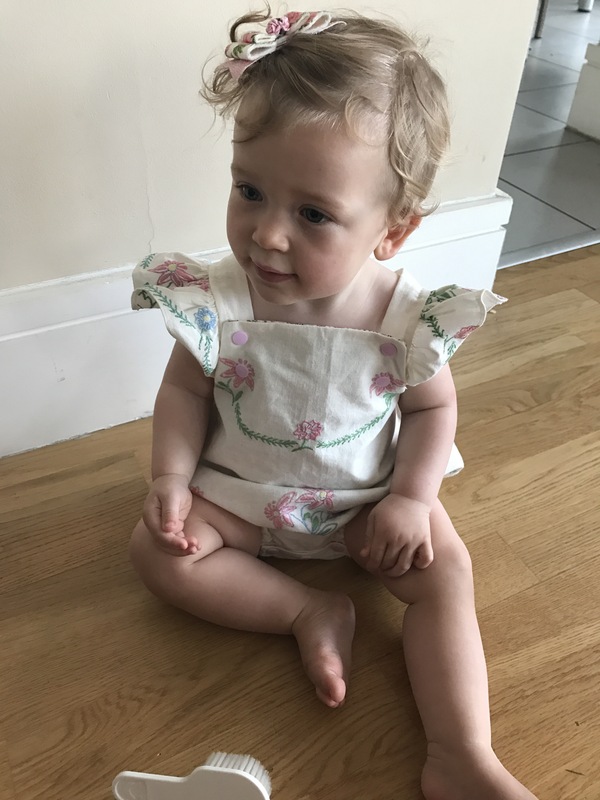 Actually after having Flossie, as I have mentioned before, I had a really quite intense but luckily short lived, period of PND. Before this point my phobia had diminished to a point where I didn’t think about it on a daily basis and, having coped with a couple of sickness bugs, I felt confident I could handle it if it happened. Unfortunately, as well as feeling really low and anxious in myself and my ability to parent my newborn and 2 year old, the nasty old PND re-awakened my loathing for puke. 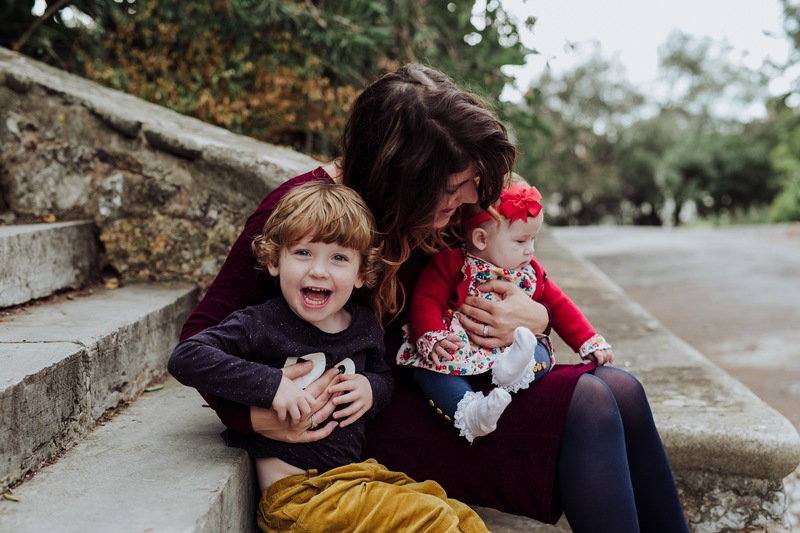 It was like I’d woken up suddenly and I had two children to care for who could throw up at any minute and I really didn’t know how I was going to cope. I wouldn’t be able to sleep at night for fear of ‘that’ sound. We all know that sound.. the slightest cough from the other room would send my heart into overdrive, racing so fast and taking an age to slow down. I spent nearly two weeks feeling like I just wanted to run away from the responsibility. Not the responsibility of being a parent but just that one aspect of parenting. I felt I was a failure because I didn’t know how I would look after them if they were sick and all they’d want was their mummy! This 2 weeks coincided with the time I started taking medication for my anxiety. The doctor did warn me that I might feel worse before I felt better, but I had no idea it would dredge up all these feelings that I had so well controlled before. After about a week and a half I felt glimmers of my old self reappearing, moments of the day where I didn’t worry about someone being sick, or me catching it! This of course was the medication working its magic. Forward on about 8 months and I’m feeling in a really good place with emetaphobia. 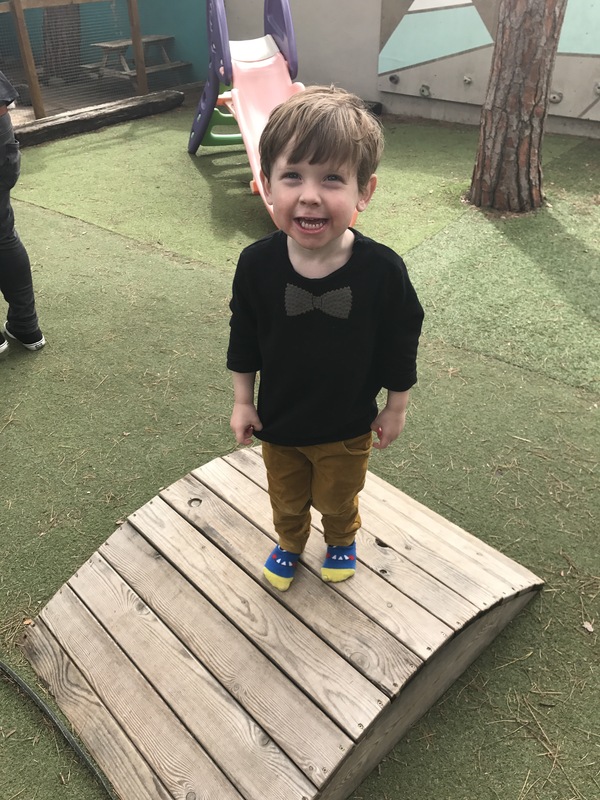 Henry recently had a tummy bug and, as strange as it sounds, it was just what I needed to remind myself that I can cope with it. I’m lucky that my case of emetephobia has been relatively mild I think, in comparison to some. Some people with this phobia find it hard to leave the house, look after their children, eat! It’s not a phobia you can really avoid unlike something like heights or flying, so it’s something that is so hard to escape. In my opinion the only way to truly rid yourself of this fear is to face it, or face the situations you most fear it, to make you realise that although it’s definitely disgusting it’s not as terrifying as you think. Of course those who fear it most are going to feel that that is the very last thing they want to do. So it is a very soul destroying cycle to be in. I also think the medication has helped me ten fold. It’s basically just made me more level headed, things that would have triggered this phobia before I can now brush off as being a bit irrational. You quite simply cannot do that when you are in a desperate state of mind. I can confidently say that, during Henry’s last bout of illness, my heart didn’t race even once and it was a massive achievement! If you are reading this and you are in the midst of that desperate, soul destroying cycle of gripping fear that I know so well, I urge you go to your doctor! There’s no shame in it, it’s just the way your mind is wired but there are definitely ways to re-wire it and get back to some sort of normality. I am living proof 🙂 I have no doubt I’ll have moments in the future where I relapse a bit, but knowing I’ve got through it before will help me get through it again! 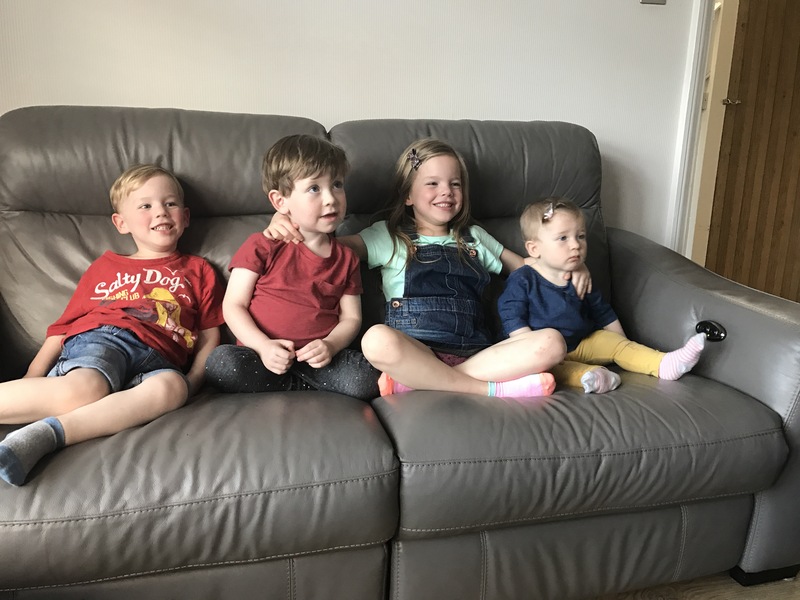 I realise this blog is swiftly turning into a ‘mummy’ blog…. which wasn’t really my intention to be honest! Well not completely anyway, I do hope I have other strings to my bow (definitely did not just write ‘springs’ there and have to correct it). However, as its kind of what I ‘do’ at the moment, it does make sense to write about that side of my life most often. 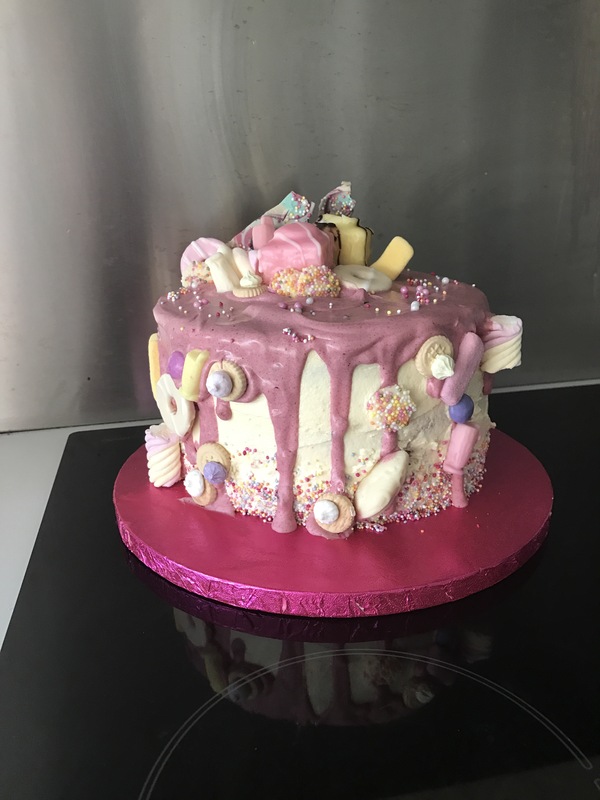 This post is a bit of a combination of that and crafting, the other thing I ‘do’ at the moment along with eating cake and feeling guilty about it and wishing for a full nights sleep! Actually, in my past life, I was a primary school teacher. Not for long, about 3/4 years in total if you include my maternity leave. So dressing up/fancy dress days are something I have experience in, but not much yet from the parenting side. There are a fair many things I do or don’t do now that I never expected myself to ‘do or don’t do’ as a parent. I won’t go into details but some of these things involve iPads, chocolate buttons, chicken nuggets, television and ‘fun’ activities or lack of. 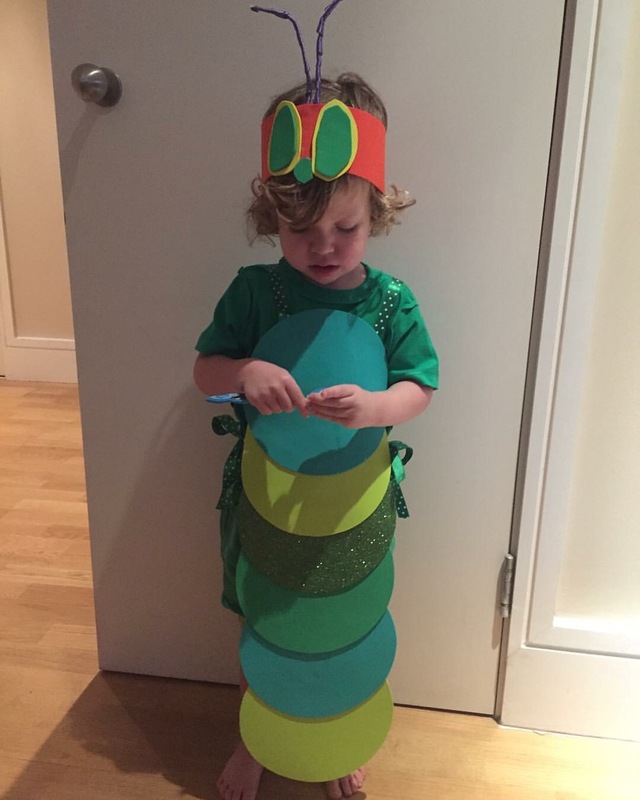 One of the things I’m pleased I’ve carried through is my crafty parent ‘making costumes for my children’ ideology. Really trivial but you know you have to feel proud of yourself for something! They are celebrating world book day on Thursday at nursery and this time we’re going for ‘Alan’ from the rather interesting children’s book ‘I need a wee!’- basically because he is a knitted character and we all know how much love I have for a ball of wool (or yarn.. but I feel a bit silly saying that for some reason). 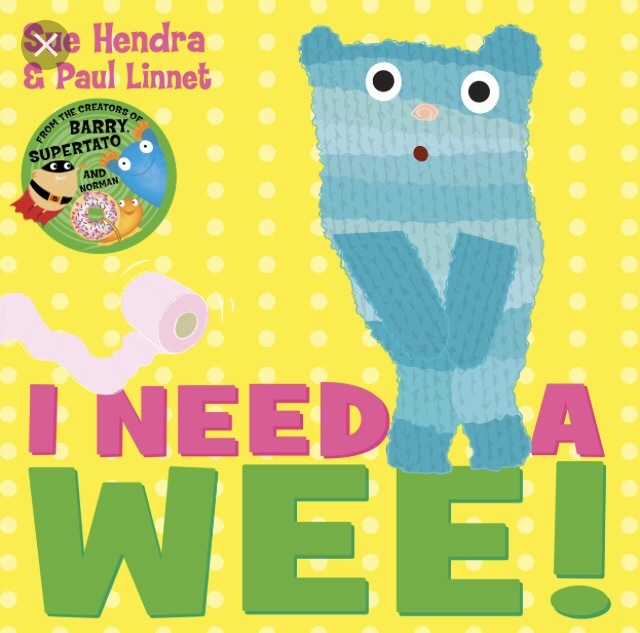 We love ‘I need a wee!’, its a simple story about a bear whose desperate for a wee but can’t find anywhere to go and the queue for the toilets is too long. We feel you Alan, especially when it’s not actually you that needs the wee but your recently potty trained 3 year old! We all know that panicky moment when you realise you haven’t actually packed a spare pair of pants or trousers.. or let’s face it shoes and socks because they don’t get saved either! Asides from the fact the character is knitted, we chose this book because Henry actually genuinely loves it and we read it most nights, especially as he can now identify with that feeling (everyday on the 20 min walk home from nursery.) 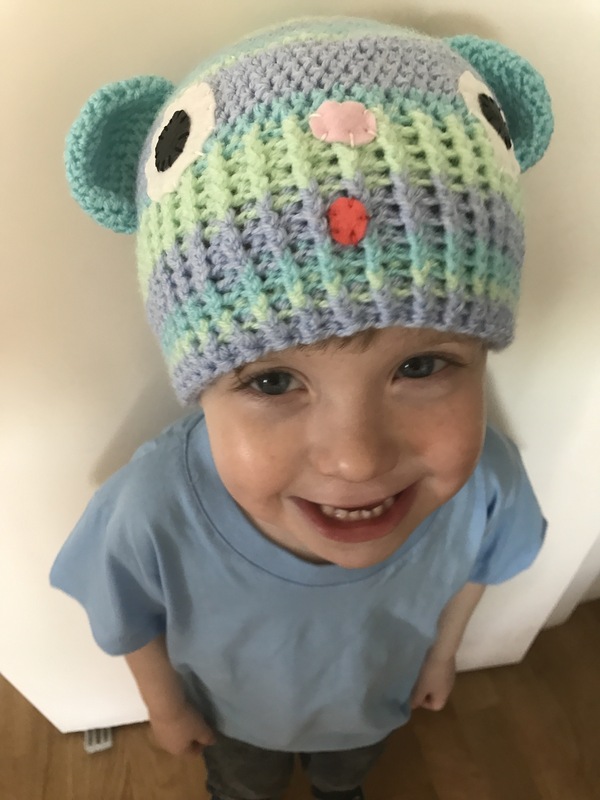 I decided to just make a hat in the colours and add the features, (I used Munch and Missy Mouse’s hat pattern, you can find it here.http://www.ravelry.com/patterns/library/chunky-pom-pom-hat-3.) then I bought a really cheap plain blue t-shirt and ta dah! Absolutely in no way a masterpiece, but seriously cute and pretty simple to do. 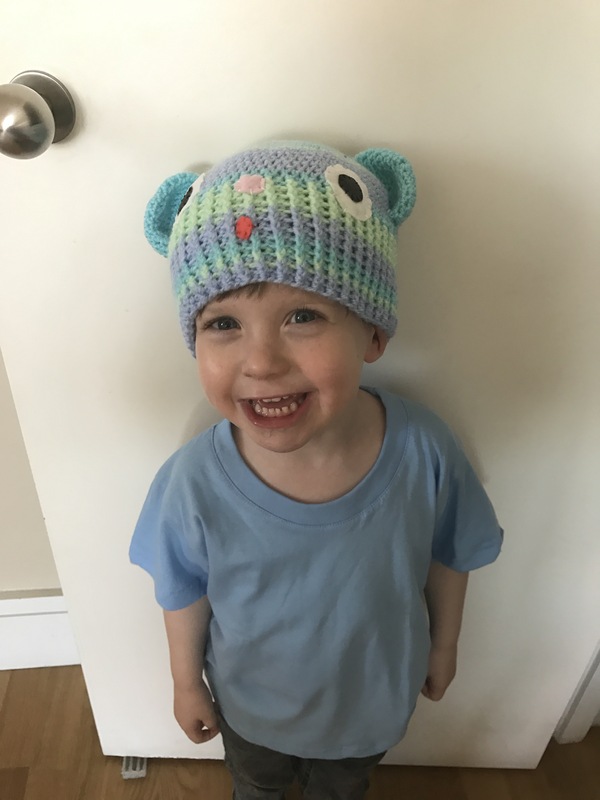 If you didn’t know how to crochet or knit you could always just buy a cheap hat and glue on the rest! I also made a winners cup out of some yellow sheet foam I had. Now I know not everyone is crafty, but one thing that used to sadden me as a teacher, on world book day specifically, was the amount of children that came in with a fairy tale princess/superhero costume that was clearly hoiked out of the toy box at the last minute and quite possibly hadn’t been washed for a lonnnnnnng time! The thing that used to annoy me a bit is that the children most probably had seen that character on screen rather than in a book. To me fairy tale princesses and superheroes are more ‘film’ related than book and sometimes I didn’t feel like there was much thought in it. I know the film is adapted from a book, obviously, but the idea of WBD is to get children reading and sharing their favourites and if everyone in the class comes in as Cinderella and The Hulk there isn’t much discussion to be had! Now please don’t think I’m judging because there are many very legitimate reasons why this may be the case in your household i.e. : too many children to be completely original, you found the screwed up letter at the bottom of a book bag on the morning, youngest child has been home with a sickness bug/chicken pox any illness that keeps you housebound and quite frankly mind numbed to the core (although this may be a good excuse to get crafty.. just sayin 😉), your school does FAR too many dress up days or you have a tiny baby to name a few. Also if your child is absolutely desperate to go as said character then give the child the screwed up costume and breathe a sigh of relief for the tantrum you just avoided!! 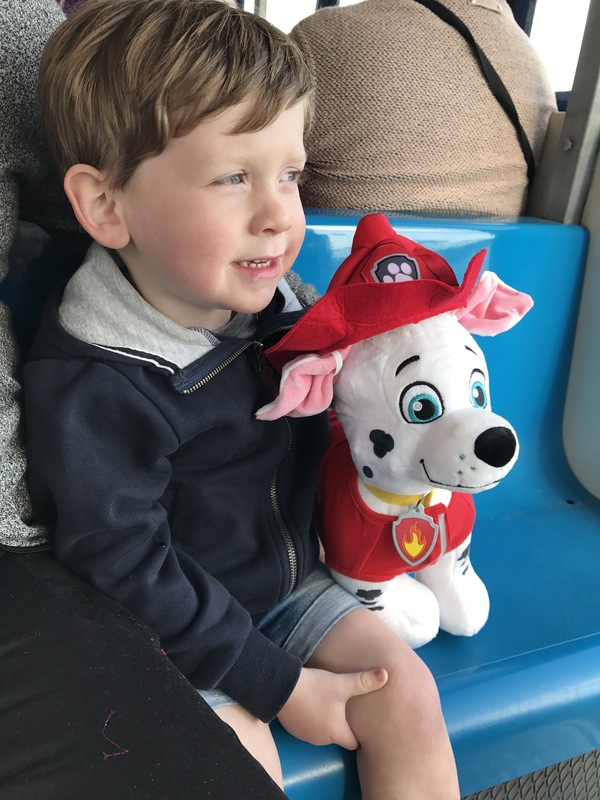 But if you are prepared, have a bit of time and your child does genuinely love a specific character or theme, then there’s a few ways you could think outside the box. Not saying you even have to get making there’s some pretty good costumes in the shops too and cheap! 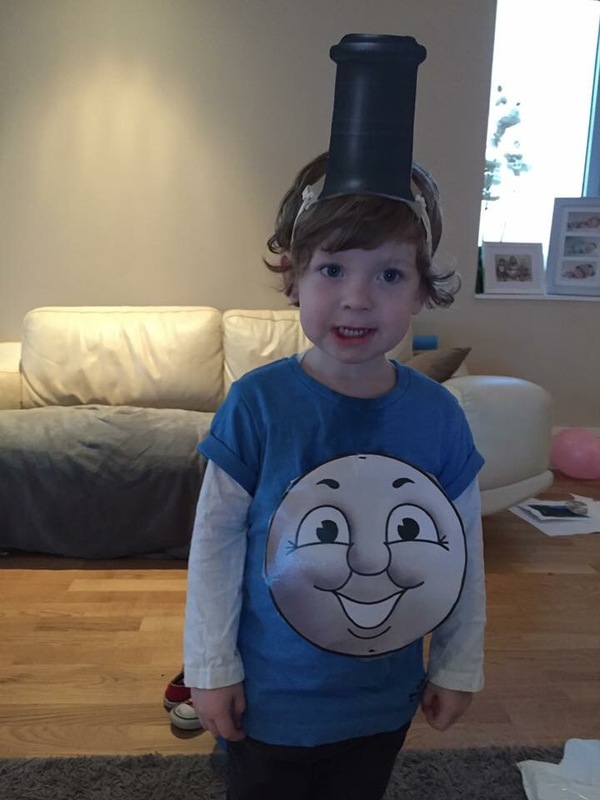 So if you have been thinking about what to dress your child as for world book day, or any dressing up day, here are a few ideas I’ve picked out that might help with last minute dilemmas. There are a few, both hand made and shop bought, and I would love to hear what character your child decided to go as! Sleep, or rather lack of it, is a much often blogged/talked about subject by mummies. I seriously undervalued it before I became a mummy myself and definitely didn’t appreciate what sleep deprivation would do to my mental health!! You know how everyone always says, sleep deprivation is a form of torture, they really aren’t wrong! When I had Henry I’m pretty sure I was JUST on the cusp of a that post natal sadness really taking hold. 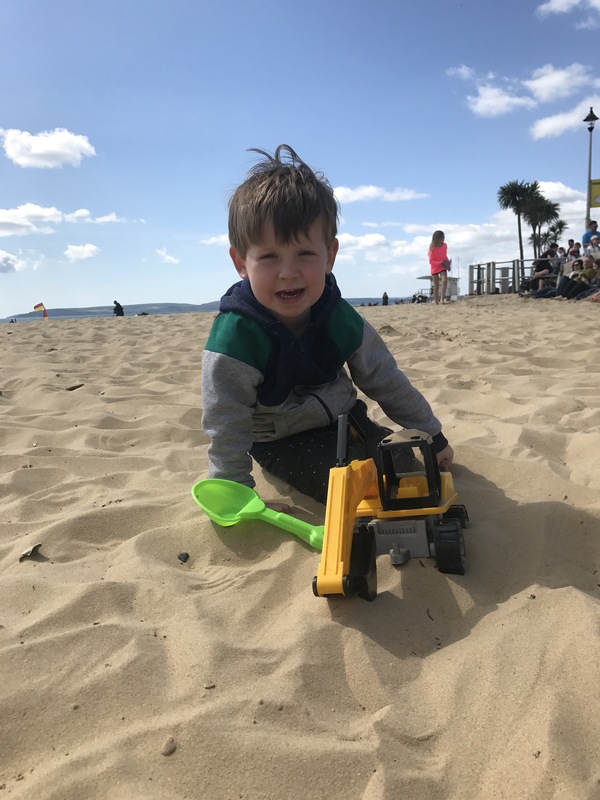 I had a really difficult birth with him and felt, physically, quite awful after but I was really lucky and he settled into a predictable sleep pattern quite quickly. It’s only now I truly understand how good he was! I was definitely tired, but having only him at the time gave me a fair amount of time for rest and he was a great little napper! This time, though I had a great birth experience, I haven’t been quite so lucky on the baby sleep front. Typically when I also have another child to look after! Don’t get me wrong, it is certainly not terrible, but neither is it great! This most definitely contributed to the pretty awful anxiety I had after having Floss. Not only did this affect my mental wellbeing, I’ve also really noticed how my parental abilities are affected by the amount of Z’s I caught the night before. Take yesterday for example, the night before was fairly unsettled from about 1.30am. Floss is still in our room as we live in a 2 bed flat and I don’t want to disturb Henry’s sleep if I can help it. I went to sleep that night around 10.30-11 so probably had about 2-3 hours decent sleep before the party started. This was most definitely reflected in the amount of patience I had in the day. We had various upsets from the older one, not wanting to get ready, not wanting to go out, wanting a snack after a packet of crisps and a kit Kat, but not wanting fruit. As well as this, we had very little sleep from the younger one and clingy miserable behaviour 👍🏻. Now I’m not saying, had I had a full nights sleep, none of those situations would have arisen. What I am sort of saying is that I would definitely have dealt with them better. Then you have a vicious cycle of feeling bad and feeling mad, which is quite honestly a bit crappy. Not only am I a rubbish mum on these days but I am also a rubbish slimming worlder. I just want to eat chocolate, I feel I deserve chocolate and I don’t have the willpower to stop myself or really care about it. On those days where my Z bank is running low I often sit and fantasise about there being a tablet you could take, or a drink you could drink, that could completely replenish your energy. So far I am yet to find one. Having said all this, somehow you do survive, even if you’re a more withered, bad tempered and slightly unhinged version of your former self. So today we’ve literally just waved off a weekend of lovely visitors and family time, mostly spent eating, due to terrible weather! Inevitably we’ve got that rubbish sad feeling you get after anything you’ve been really looking forward to and with a plane journey standing in the way of it happening again soon, it’s not always easily resolved. When you live near your family it’s so easy to take for granted the time you spend with them. The ease of popping over to your parents on a weekend and catching up on the weeks events, is something you don’t even really think about when you have the option. Weekends with family bring familiar faces and happy listening ears as well as extra pairs of hands to help with the little ones 😉. This is one of the things I’ve really missed whilst living here, not only do you miss out on significant events, like nieces and nephews birthdays and family gatherings, you also miss out on the general catch ups like I mentioned above. You sort of have to make your own entertainment each weekend and sometimes that can be with just the same four people a few weekends in a row. Don’t get me wrong I love our dynamic as a foursome but it’s also really good to get out and socialise as a family. Luckily we have some great friends here that we do often see, that keep my husband and I from telling each other the same things over and over and talking about the kids all weekend! Living away from family you do sort of live on a continuous countdown to the next visit or trip home, they always seem so far away and then go in a flash. But looking on the bright side the time we do spend with our families is wonderful. 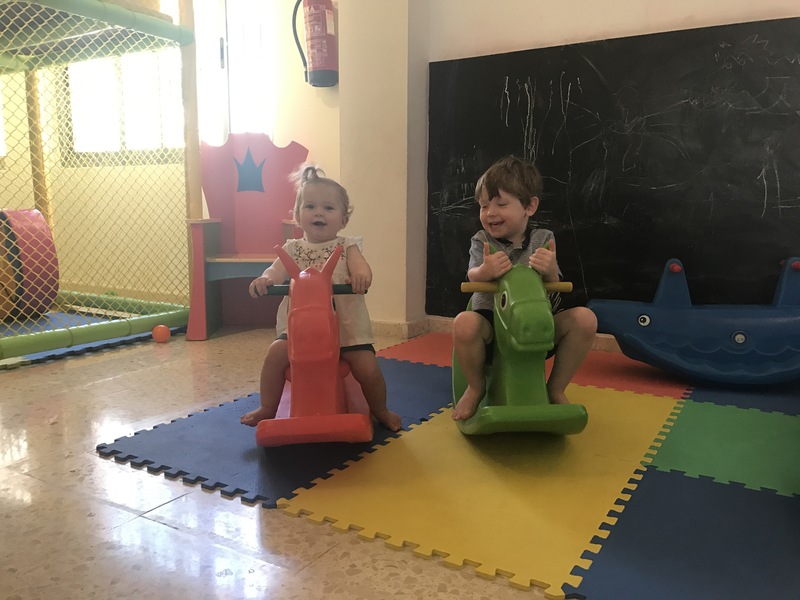 The children love having people to stay, especially Henry who does love a good jump on a put you up mattress 😉 and they also love going back to England and staying with their grandparents. During these times we tend to make the most of activities in both Gibraltar/Spain and near home in the uk, that we wouldn’t normally do if our life was based solely in one place. Doing this we’ve made some amazing memories for us all to look back on. As I mentioned before the weather here has been horrendous this weekend. It’s been seriously windy and a bit wet but since we’ve been living here catching up with family has never been dictated by the weather. When you live apart, it’s nice to just spend time together no matter what you do. We’ve basically frequented Gibraltar’s cafes and restaurants and I for one, have definitely eaten way too much but do I care.. no. Well maybe a little bit because I now feel like I have to reign it in and that’s frankly quite boring. Asides from eating tasty food we also took a trip to the park in a sunny moment and the children were spoilt with lots of new toys and treats! Often after visitors Henry takes it pretty hard. He has a weekend full of undivided attention and then he’s left with just…me. Which in turn makes my life a bit unbearable for a couple of days. However so far today we’re doing ok, though I am sat writing this whilst lying on the floor playing Thomas (basically I answer yes and no and repeat things he tells me to). Here’s hoping my company is enough to keep him happy! !